Young artists from the Curtis Summerfest program recorded live at WRTI on August 2, 2018. 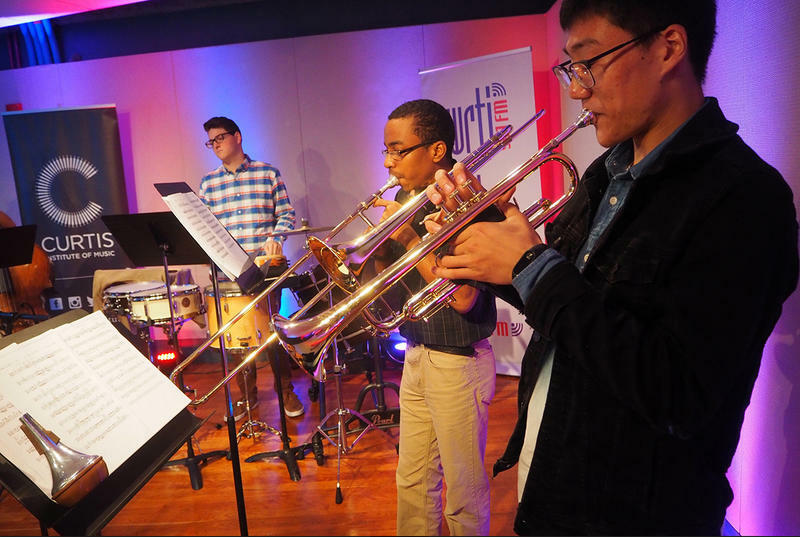 The WRTI performance studio was alive with the sound of young musicians this week when students from the Curtis Summerfest Young Artists Program visited us. Watch the performance on the WRTI Facebook page recorded live at WRTI 90.1 on Friday, August 3rd. Host Kevin Gordon as he welcomed violinist Aleksander Ivanov, double bassist Braden Ellis, clarinetist Joshua Choi, bassoonist Zackery Edwards, trumpetist Huanyi Yang, Trombonist Christian Kersy, percussionist Matthew Leo and conductor Kit Yu Lo. The ensemble performed selections from Stravinsky’s L’Histoire du Soldat including: The Soldier's March, The Devil's Dance, and Great Chorale. The second half of the program featured the Dvorak String Quintet No. 2, Op. 77 performed by violinists Manuel Leiva Cortez and Isabel Kingston, violist Julie Park, cellist Cheng-Yu Chang, and double bassist Justin Morgan. The Curtis Summerfest Young Artist Summer Program is designed to provide educational and performance opportunities to musicians of all ages. It's one of six programs offered through the Curtis Summerfest. More information about the Curtis programs. 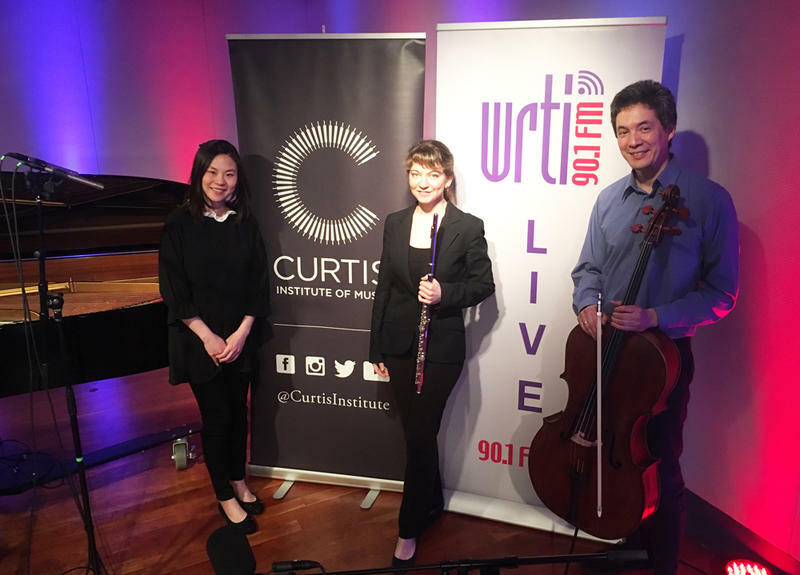 Musicians who are all faculty members of the Curtis Institute of Music's Summerfest performed Mendelssohn’s Trio in D minor for flute, cello, and piano live on WRTI 90.1 on May 16, 2018. Jack Moore hosted the broadcast.